Kids – the next generation that is about to take the entire world by storm. These are the future presidents, doctors, and leaders of the world that will one day take us all by surprise. In the meantime, they are learning how to live each day to the max as they wreak fun – and havoc – for their parents. 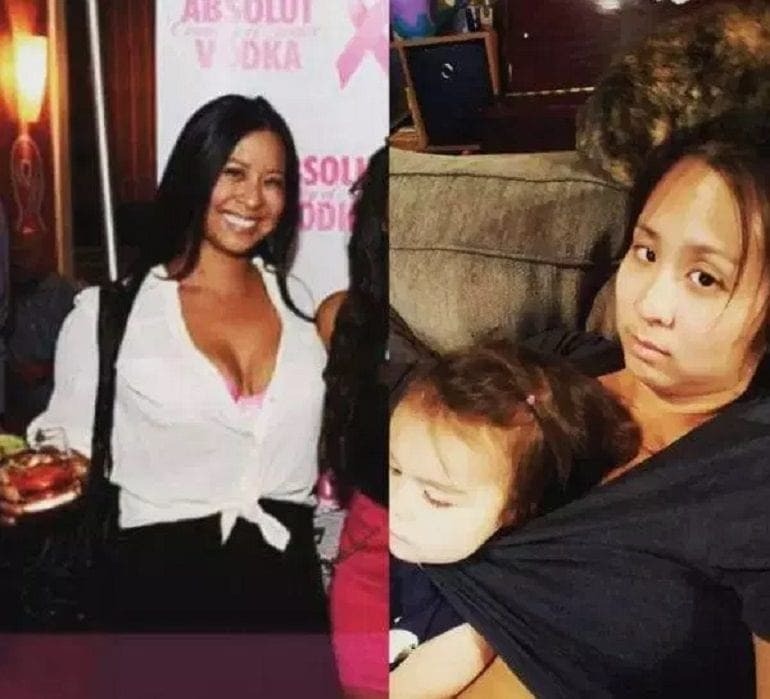 Becoming a parent might seem like an easy feat but the hilarious photos of parents before and after they have kids proves it might not be as simple as we once thought. Life before a toddler can be filled with just about whatever we like to pass the time. Be it expensive dinners, late nights on the couch watching movies, or even heading out with our friends – it seems as though the world is our oyster! 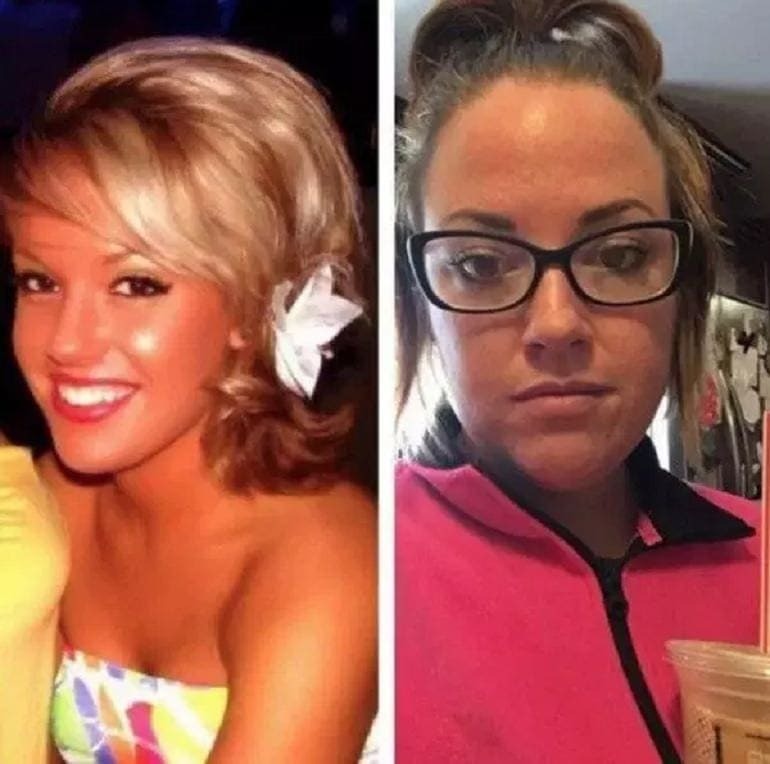 This mom looks as though she used to enjoy a life of vacations and feeling glamorous with her friends. That was until the arrival of her little one meant it was time to break out the hair ties and coffee to make it through the day. Ah, those expensive meals at great restaurants that leave us desperate for more. What about the all-you-can-eat buffets that see us piling up a bucket load of fries as we eat our body weight in carbs? These are just some of the many things we get to enjoy throughout our lives. Long gone are the cloth napkins and tablecloths. 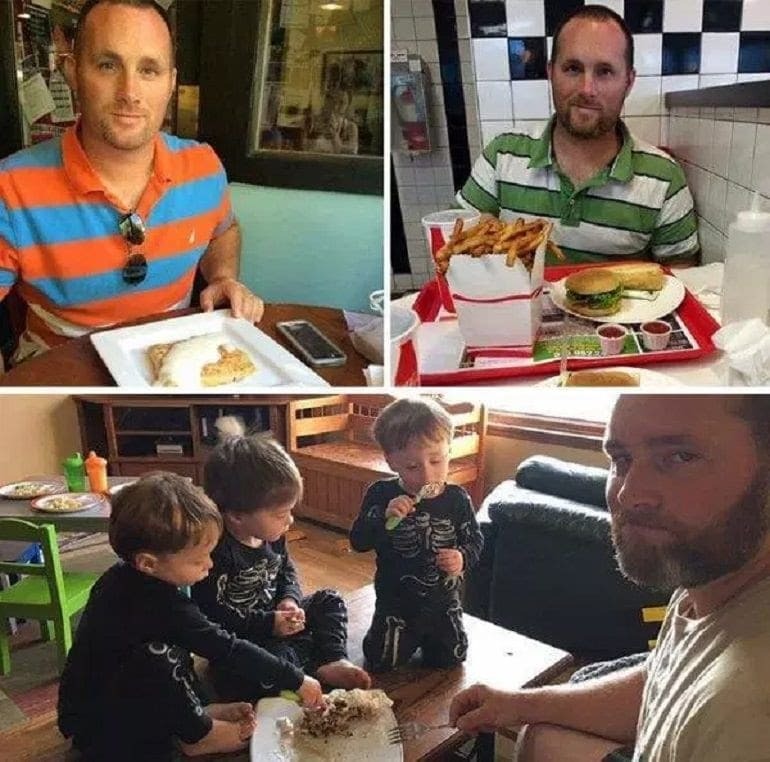 Now, this dad is learning what it’s like to enjoy a meal for one surrounded by three very hungry other mouths all wanting a taste. Sure, many of us like to take care in our appearance. It never hurt anyone, right? This man looks as though he once enjoyed nights out where he could roll back into bed at whatever time he wanted. Now, he needs a mid-morning pick me up to make sure he can make it through the rest of the day. 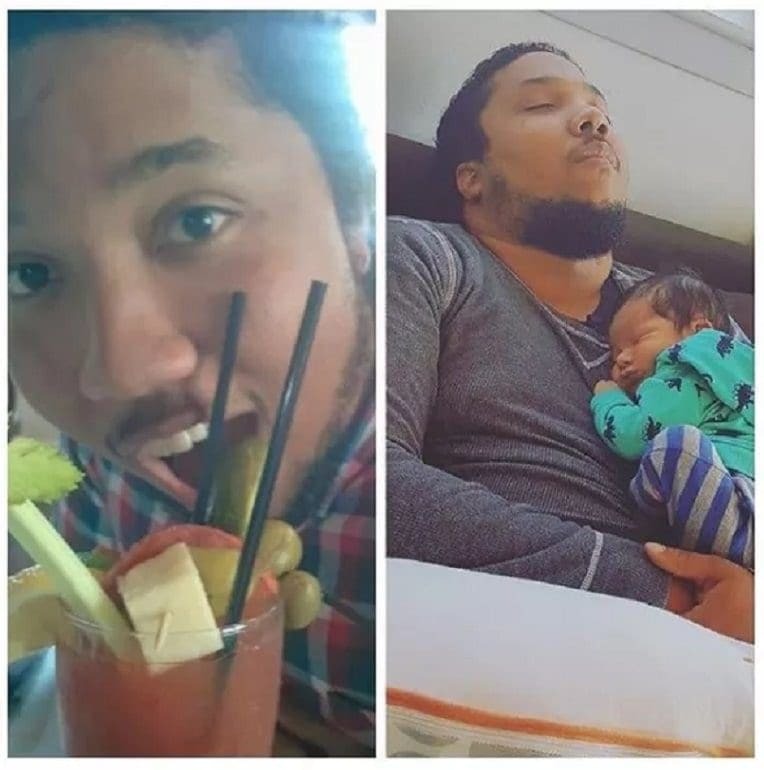 It might have only been three years, but the unkempt hair teamed with the extra facial hair give us the impression that life is a little less about taking care of himself now he’s a daddy. 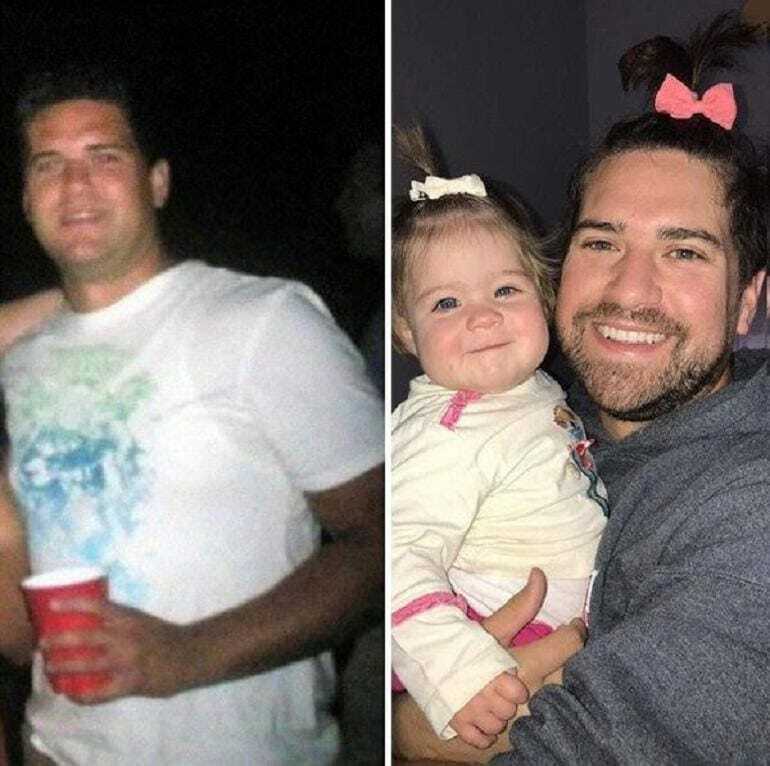 It looks as though many of these parents knew how to live incredible lives before they decided to embark on the next stage of their lives into parenthood. 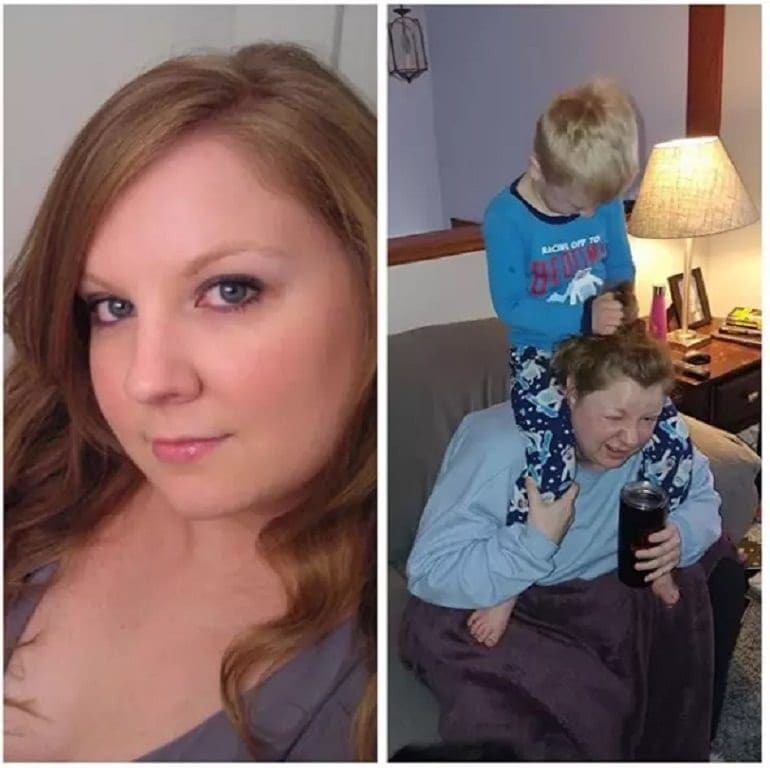 This mom was once at all the latest events enjoying life however she pleased. Now? Those expensive outfits and glamorous looks are packed to the back of the closet as it seems like her little one thinks t-shirts are the next-best toy. Have a kid, they said. It will be fun, they said. Many of us spend hours trying to perfect the selfie pose that will get us all the likes on social media. 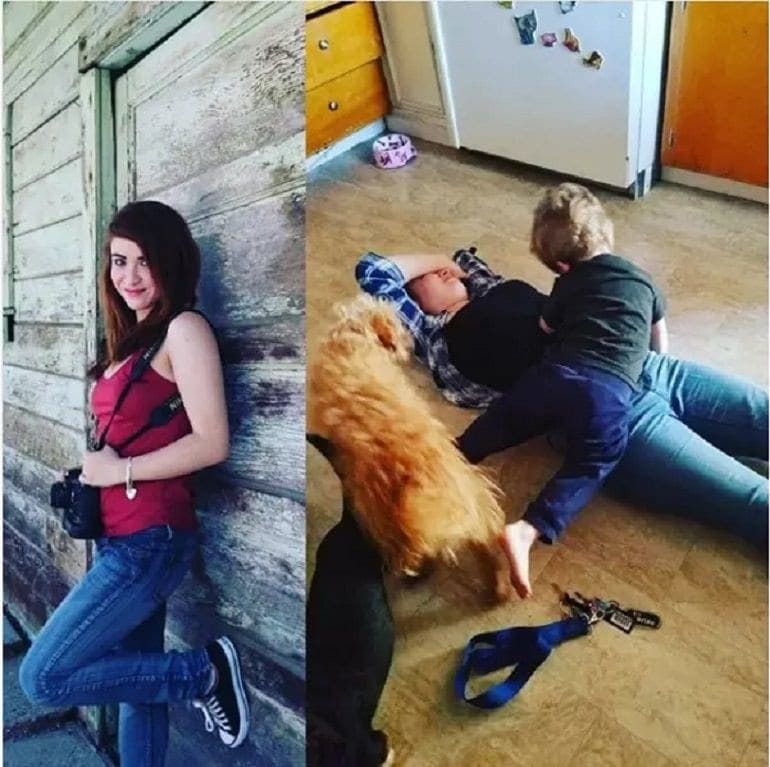 A simple head tilt and smile is all this mom needed to take her pictures to the next level. 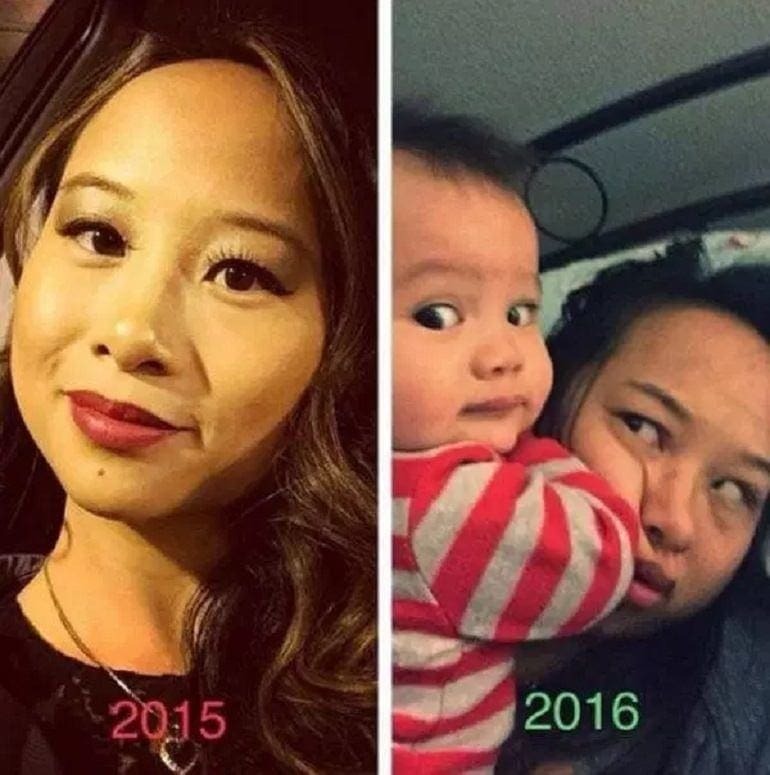 If only she had known how the days of wearing daily makeup and taking cute selfies were behind her before she tried to take this snapshot with her little one. They look as though they are enjoying themselves. Their mom? The smooshed face tells us she’s probably had better days. 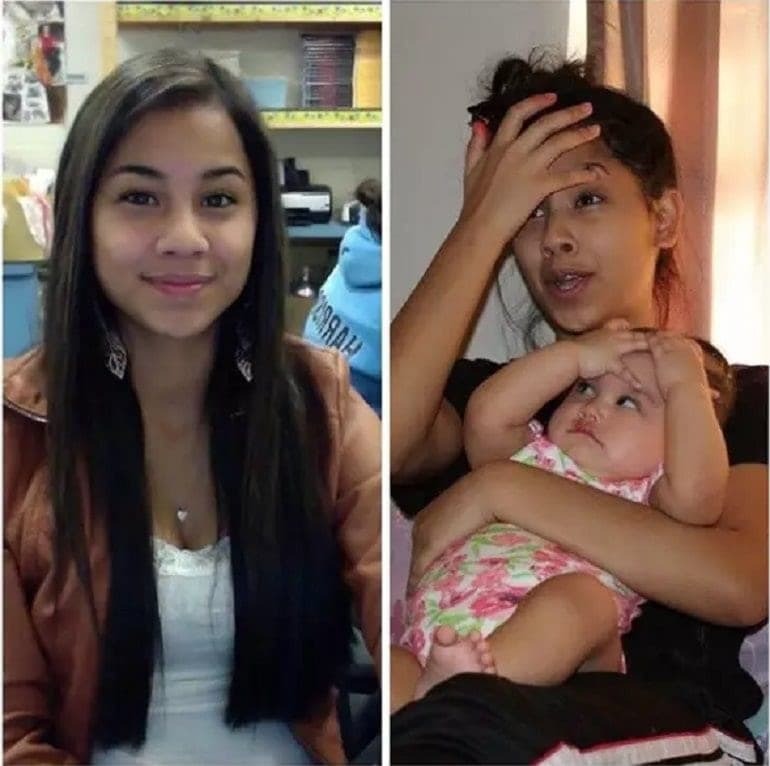 It was this upload from Julianelle that started the fun of showing what life was like before and after kids. He wanted to show the world that having little ones might not be all it’s cracked up to be, but there is still fun to be had. Back in 2006, Julianelle looked full of life and ready to rock. 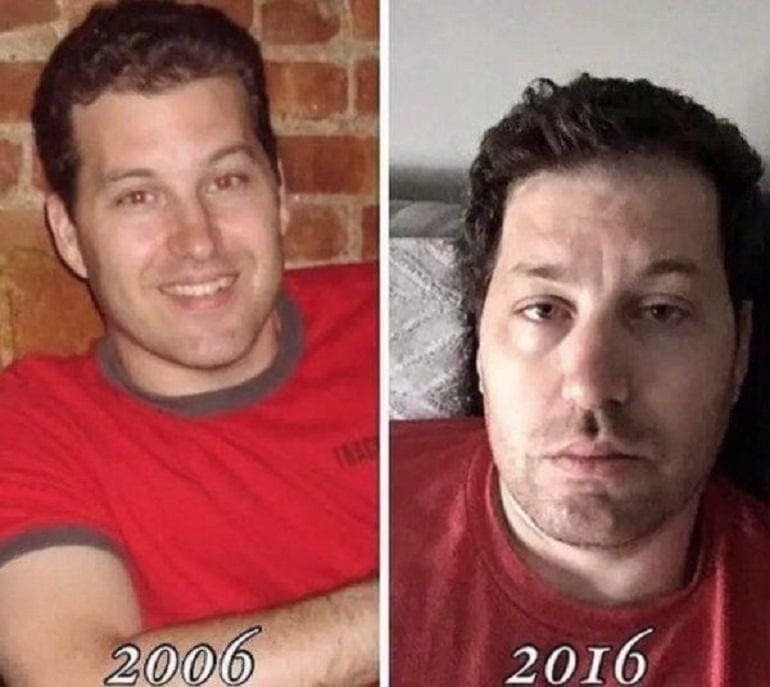 Fast forward ten years, and it seems as though being a dad has taken quite the toll on this parent. The added frown lines, lack of sleep, and five o’clock shadow are all telltale signs of needing some rest. Heading to the hair salon is something that many of us enjoy every few weeks. Keeping our locks nice and lush is a luxury that many of us have grown used to. That is until we have a screaming two-year-old hanging off our arms that need every bit of attention and don’t leave much room for sitting in the salon for a few hours. This mom once had flowing braids that were enough to make anyone jealous. 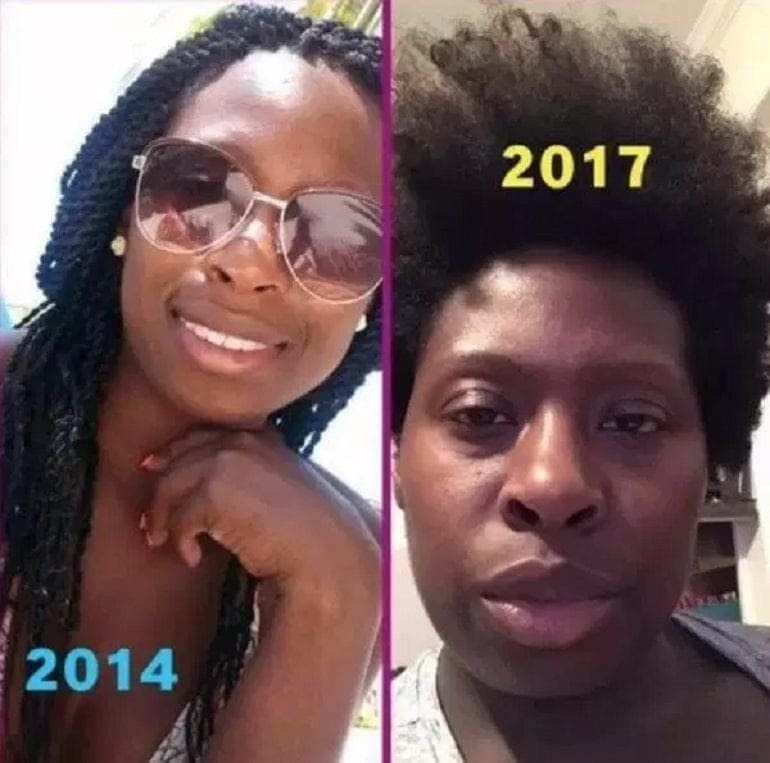 Now, it looks as though she is embracing her natural style instead. Sometimes, it doesn’t take long for the full effects of becoming a parent to set in and take their hold. 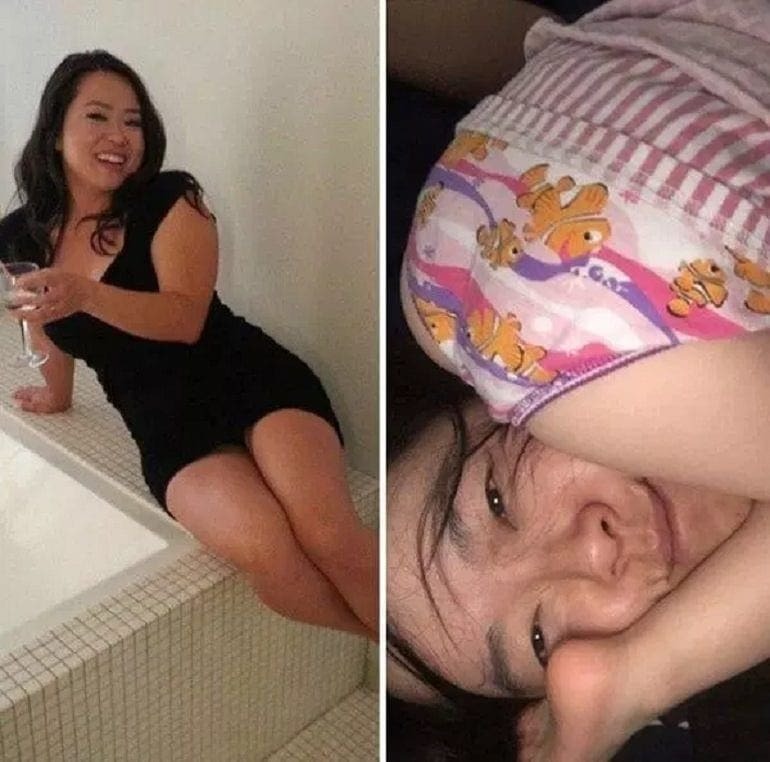 This mom looked as though she was enjoying time out with her friends when she posed for the picture on the left. 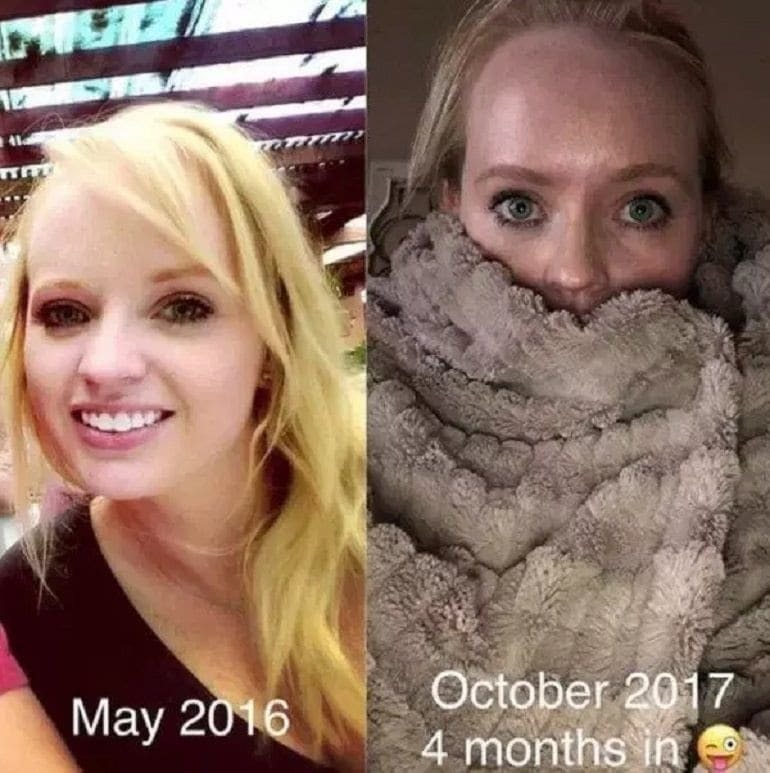 On the right, she is just four months into being a parent and has already learned the wonders of snuggling under the blanket. This is the perfect hideaway when we need time away from the kids and a chance to remember what it’s like to be alone again. It’s not just one parent that bringing a little one into the world affects – it’s both of them! Once upon a time, it looks as though life was filled with glamorous Christmas parties and outings to make most of us jealous. Now, it’s using every spare opportunity to catch up on that much-needed shut-eye. We have a feeling we know what these parents will be asking for the holidays, and it contains two pillows, a blanket, and a long few hours of peace. 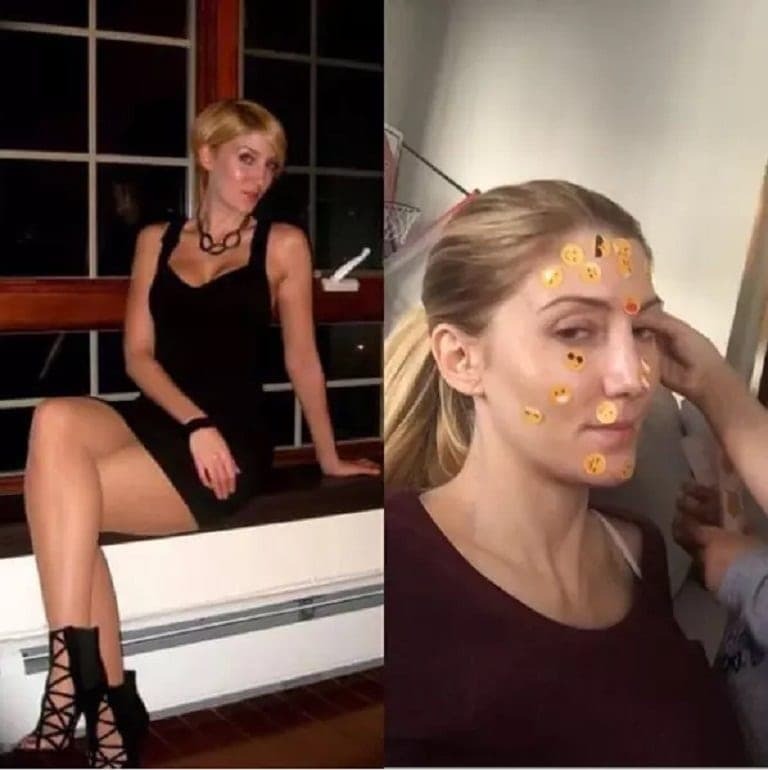 We’re pretty sure this woman never thought her face would become the next best place to sit. Sure, life was once about getting the perfect snap for social media at someone’s glamorous house party. All it takes is the pitter patter of little feet, and those memories of fun soon start to slip further and further into the distance. 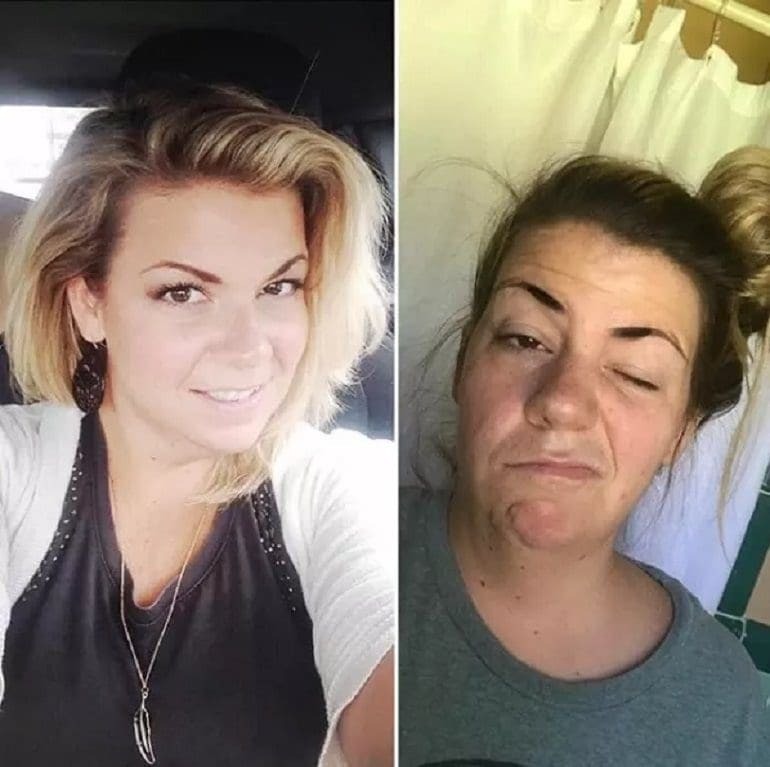 It looks as though this mom has suffered the same fate multiple times as this is a face of acceptance if ever we have seen one. Remember all those adventurous vacations to Egypt? 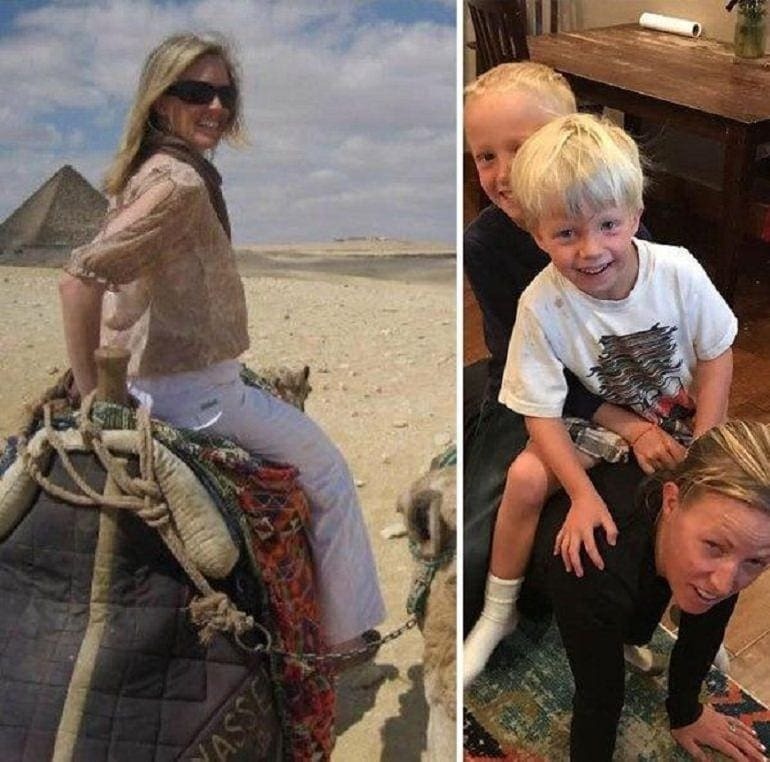 How about the time you got to ride on the back of a camel and take in the view of the sands from above? Yeah, this woman has all of those memories, too. Unfortunately, it looks as though her time as the rider is over as she is now the entertainment thanks to the addition of two little ones. Many of us never think we will end up in this situation until we hear the laughter of two toddlers up to no good. 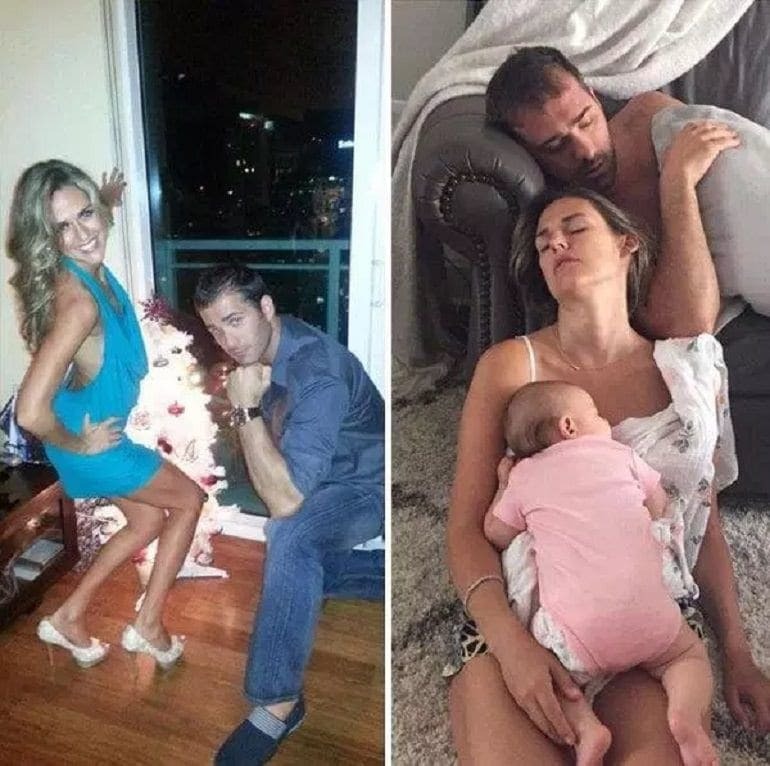 Life once seemed so simple for this future dad. 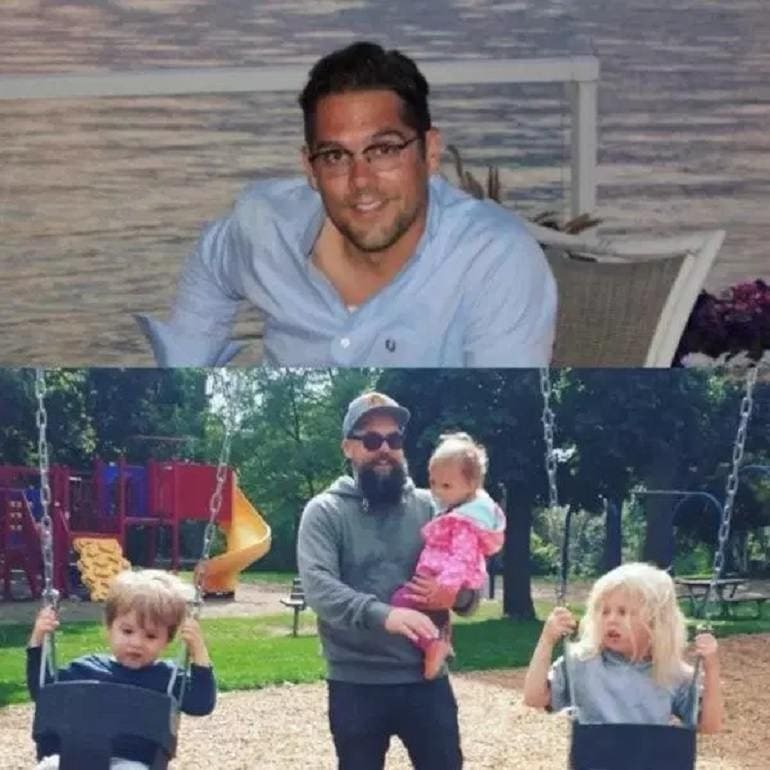 Those crisp shirts, clean-cut hair, and glasses were once the only way for this dad to enjoy his life on the town. That was until three little bundles of joy came into his world. Sweatshirts are still just as comfortable, and a baseball cap is a perfect way to hide that bed hair that tells the truth of how little sleep we got. 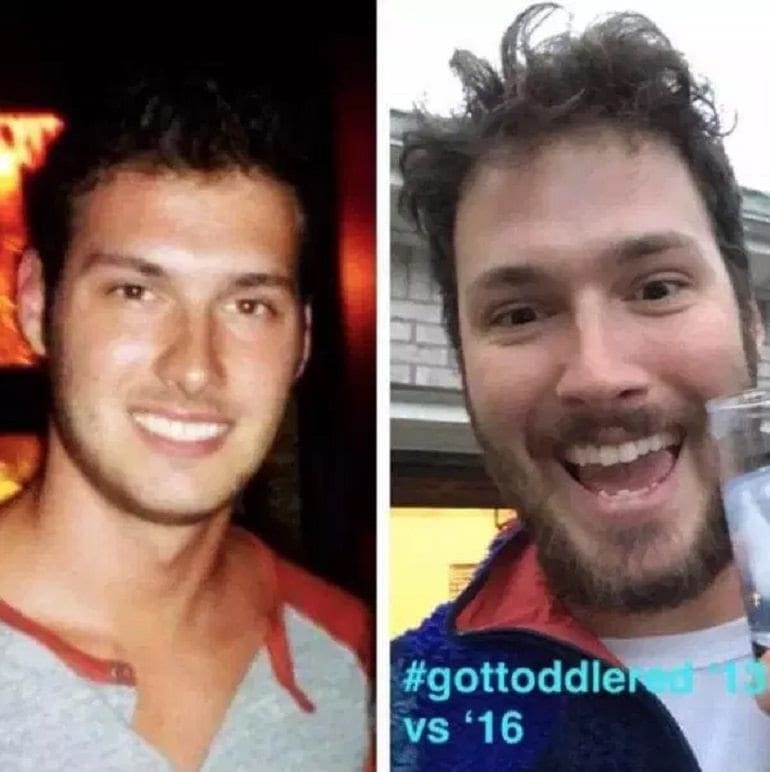 Plus, growing a full beard is a much better option when shaving now involves the help of three toddlers. That red cup is a giveaway that the man on the left was once one of the many we would have spotted at parties. We’re sure his social media was once filled with uploads of various nights on the town. Now, it’s all about showing off his bundle of joy to the world – including their matching hairstyles. It seems as though becoming a parent isn’t all about losing sleep and wishing for nap time. Sometimes, it’s about all the fun we can have now there is an extra addition in the household. It looks as though this mom has more than just a toddler to deal with; she also has two four-legged friends there to help add to the mayhem. While she was once the one behind the lens, this woman is now the focus of the picture thanks to her new addition. The keys on the floor are just one clue that she has given up trying to stay away from the chaos, and is now willing to drop wherever she can fall. Even if that doesn’t mean risking an ambush from the rest of the family. Remember those days when you could pose for hundreds of selfies before choosing the perfect one to upload to social media? So does this woman. 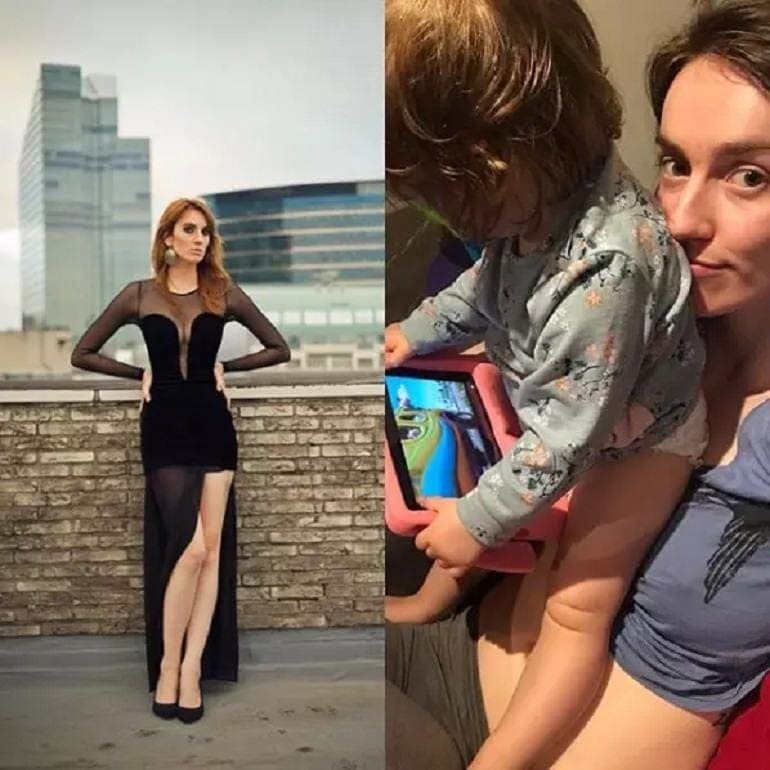 Nowadays, it looks as though her uploads come featuring her bundle of joy. Being a parent doesn’t mean we can’t enjoy a drink on the couch every now and then, right? Well, that might all be about to change when kids learn how fun it is to use a bun as a handlebar to stay on your shoulders. Many of us have heard the saying “never wake a sleeping baby,” and we think we have finally found the answer why: they are just too adorable. Sure, this man was once posing for pictures with fruit-filled drinks. However, now he is the star of this sleeping photo as he gets some much-needed shut-eye with his little one. Being a parent means we often have to find time to sleep in between all the other chores that need doing. Why not enjoy some special time on the couch together instead? Blow drying our hair, applying a touch of makeup, and choosing a cute outfit are some of the things that many of us take for granted. It’s not until we have someone else that needs looking after that we realize how long all that takes. The best bit? It seems as though this little one has already learned how to copy her mom. The look of concern must be a family trait in this household as both mom and daughter pose for a candid snap of life as a parent. Many of us have fallen for musicians over the years. There is something about playing an instrument teamed with the rock and roll lifestyle that has many of us flooding to the stage. This man was once snapped as a guitar player in a band. 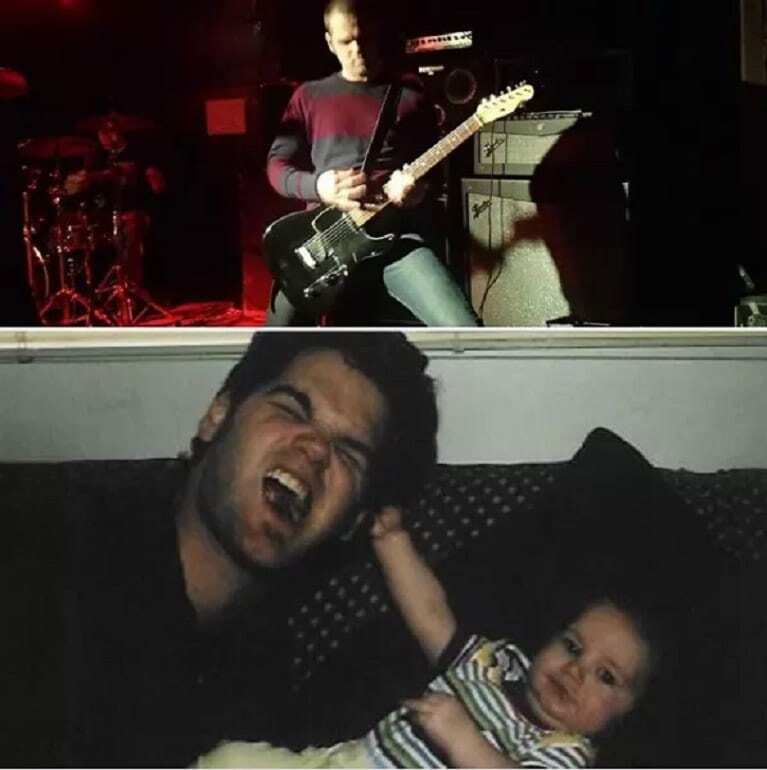 Oh, how he never expected to swap headbanging for hair pulling thanks to the addition of this little one. At least he will be used to late nights and waking up with a foot in his face thanks to years on the road. Being child-free often lends up plenty of free time to enjoy however we please. 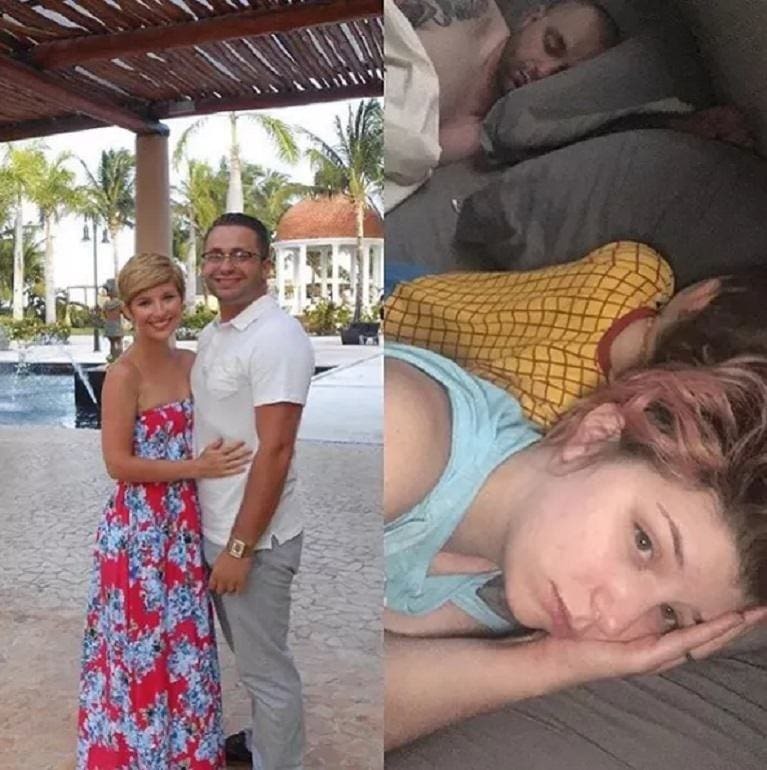 It seems as though this couple chose to spend their time on a luxurious vacation where they could spend hours of uninterrupted time soaking up the sunshine. That was until they thought about expanding their family. Sure, a little cowboy seemed like a good idea at the time, until the reality of never sleeping next to each other or having time to themselves finally set in. Many parents have come together to show it’s not just them that have been forced to adjust to life with a new addition hanging onto their arm. Who needs fashionable dresses and extravagant makeup when we could swap it for a knitted cardigan anyway? That’s a much more cozy option. Although this mom looks as though she could use a few more hours under the duvet, she still knows how to rock those incredible eyebrows as she poses for a snap with her youngster. Many of us worry about whether we have applied too much eyeshadow or gone over the top with the highlighter, but what about when your little ones want to help add some finishing touches? You could try to run and hide, or you could sit there and accept your fate as their latest sticker book. The woman on the left was once the highlight of fashion in her LBD and strappy heels. 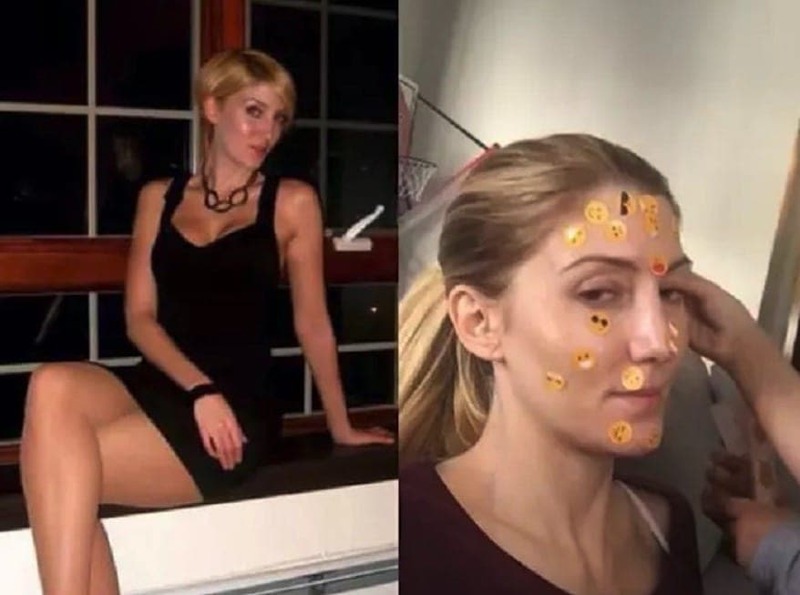 Thankfully, she can still pull off the emoji sticker look. Car selfies are a great way to capture the natural light and enhance your hair and makeup that has probably taken you hours to perfect. 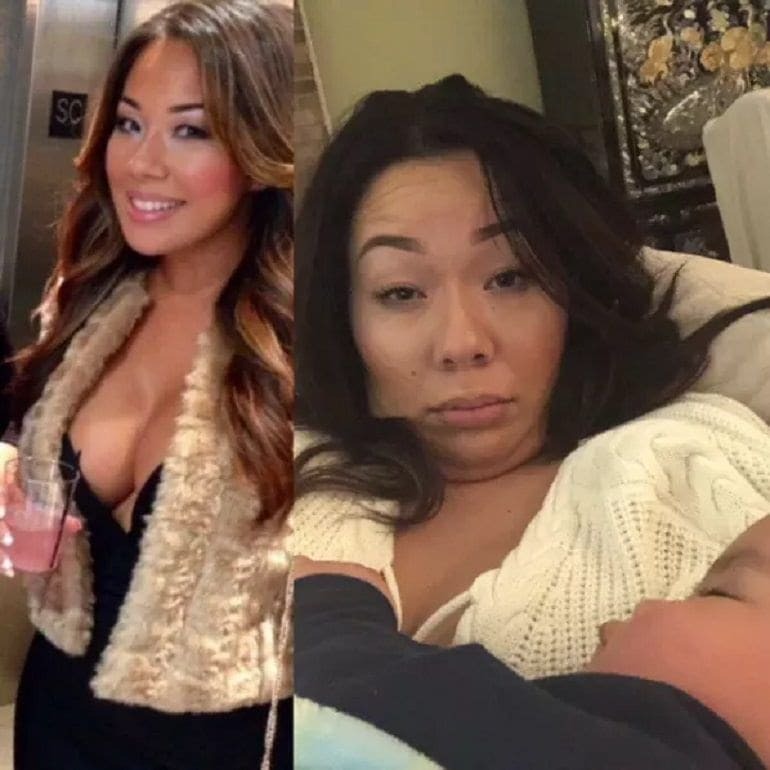 Unfortunately, this woman is proof that having kids means we are later forced to take a snap whenever we get the chance. Instead of a blown-out look, the mom has opted for a loose updo, but that’s not all. The shower curtains tell us she has probably learned the age-old secret of locking yourself away to get just a few minutes of private time. Being a model is thought to be one of the most glamorous lifestyles on the planet as people get to enjoy wearing the latest clothes and posing for the biggest photo shoots all around the world. This woman was once at the height of her game, but that all changed with the addition of a little one to the family. Long gone are the days of posing for the cameras, and now are the times of enjoying time as a comfy seat while the toddler has the perfect view for the tablet. Oh, what a change. Costume parties are popular for many people and can be the perfect time for us to show off our costumes and idea. However, many don’t have the time to head out to parties when there is another little one needing our attention. 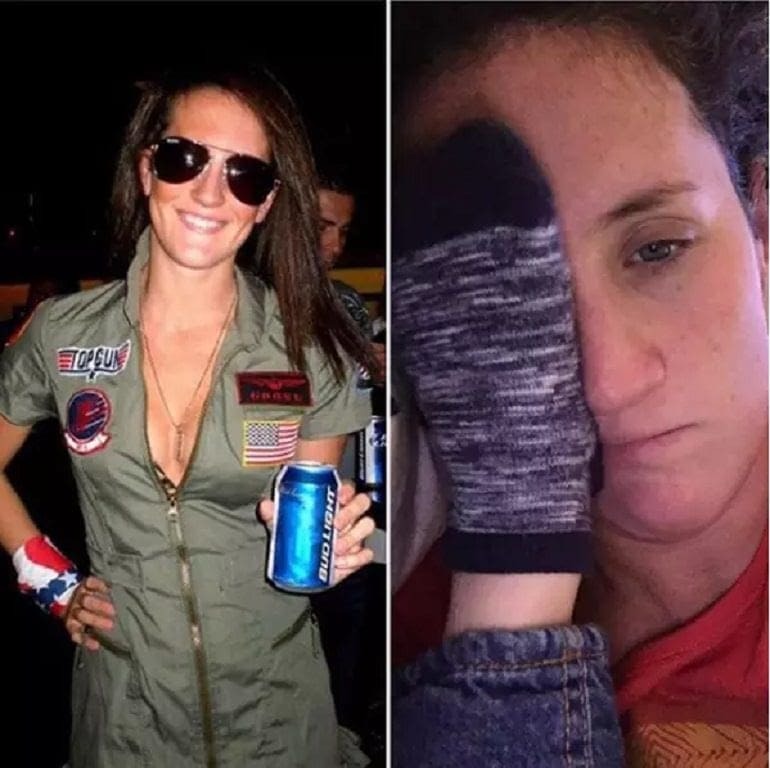 This mom was once showing off her aviator looks to her friends before she decided to jump planes and opt for a life as a parent instead. If only those pre-flight warnings came with how to deal with a tiny foot heading toward our face.